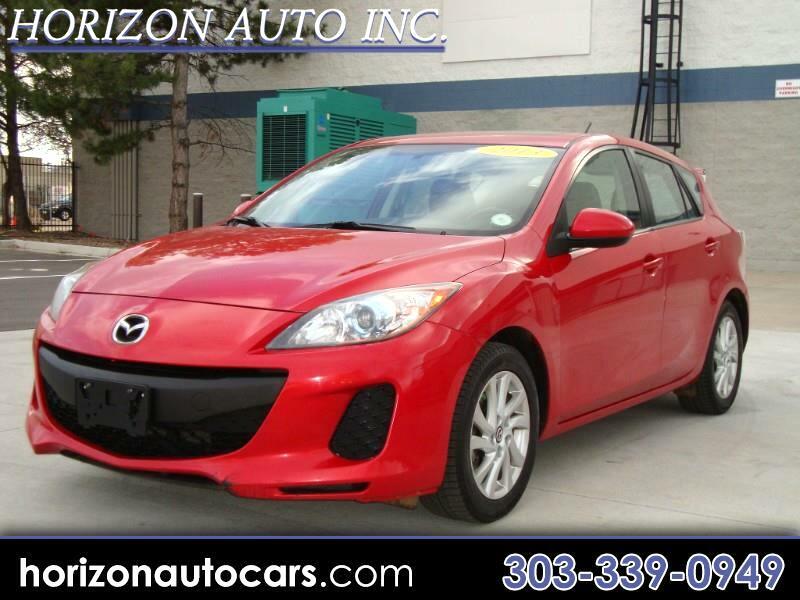 Used 2013 Mazda MAZDA3 i Grand Touring AT 5-Door for Sale in Denver CO 80113 Horizon Auto Inc.
Don't miss this 2013 Mazda 3. Clean Carfax Report, No Accidents, Well Serviced, Fully Loaded. Come to Horizon Auto Inc. and discover for your self the nicest buying experience around. You will NEVER buy a lemon, Because all vehicles are inspected, reconditioned and come with 3mo or 3000 miles warranty and Carfax Buyback Guarantee. Your Credit is never an issue. Whether you have excellent credit and Credit Union Financing or have less then average credit and need a easy approval. We have you covered. Check out our 100% Guaranteed Credit Approval program. If you think that car buying should be fun and enjoyable You owe it to yourself to CALL or TEXT us @ 303-339-0949. Sales Tax, Title, License Fee, Registration Fee, Finance Charges, Emission Testing Fee's are additional to the advertised price. Advertised price INCLUDES Delivery and Handling fee of 399.50. Sales Tax, Title, License Fee, Registration Fee, Finance Charges and Emission Testing Fees are additional to the advertised price. Advertised price INCLUDES Delivery and Handling fee of $399.50. Message: Thought you might be interested in this 2013 Mazda MAZDA3.